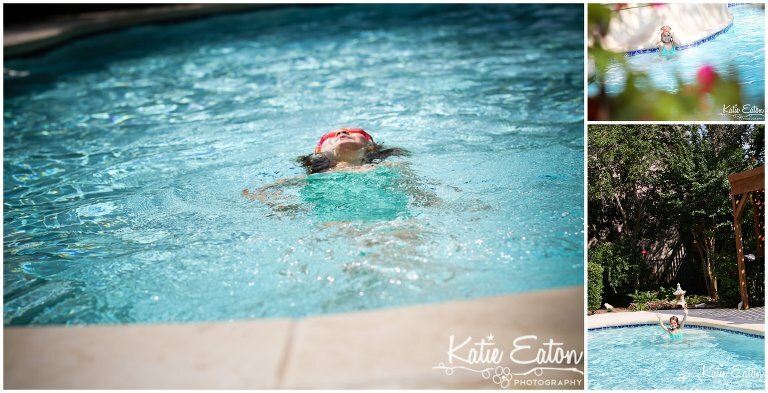 Beautiful images of a child swimming at home. …and taking her swimming is fabulous … except, her brother doesn’t seem to be much of a water baby. He sits on the edge, watches her swim and giggles, kicks his feet to splash, but he doesn’t really seem all that interested in getting IN the water. Last summer he seemed fine … but so far this summer, he’s content to just watch. Maybe it’s the pink life vest?